How I would have loved to have met Momofuku Ando. This is the guy who founded the Nissin Food Products Company, invented instant ramen noodles in 1958, then 20 years later developed CupNoodles. Respect. 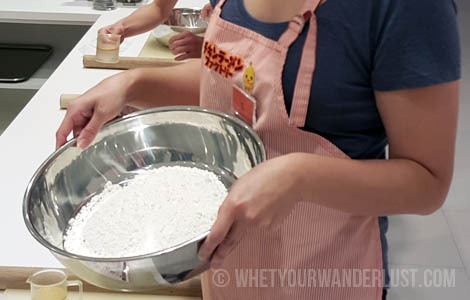 The story goes something like this – After World War II, there was a shortage of food, and Momofuku noticed people queuing at ramen noodle stands just to get a hot bowl of ramen. Momofuku wanted to create an accessible food product for the masses and spent a year trying to develop an instant ramen. He had his Ah ha! 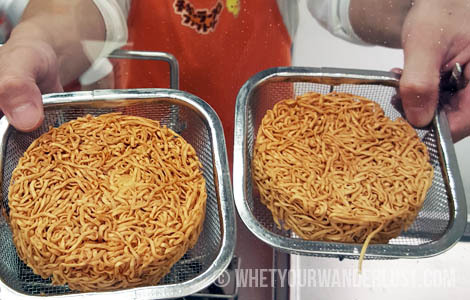 moment one day when watching his wife make tempura and then decided to fry the noodles to dehydrate them, so they could be rehydrated in water later. Eureka! Instant noodles were born. 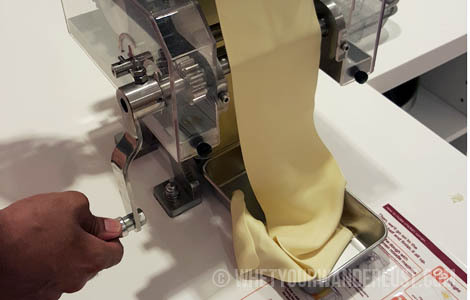 There are two museums in Japan dedicated to Momofuku Ando’s inventions: the Instant Ramen Museum in Osaka and the CupNoodles Museum in Yokohama. I had the pleasure of visiting the latter when in Yokohama last month. 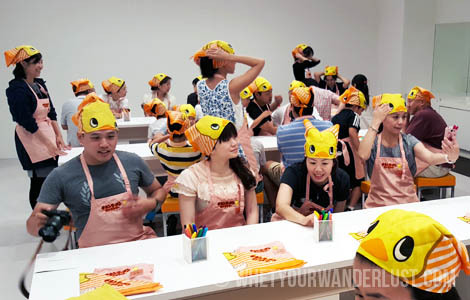 This museum has a variety of hands-on activities including the My CupNoodles Factory where you can customise your own CupNoodles and the Chicken Ramen Factory where you spend 90 minutes creating a package of ramen noodles from scratch. I’d pre-booked for the Chicken Ramen Factory as it sometimes sells out. 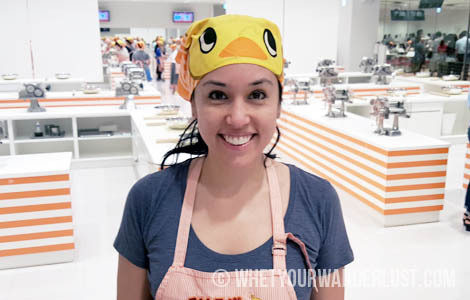 At your designated time, you and the 40 others in your group don an apron and cutesy chicken-face bandanna, snap your selfies, and get ready to make your chicken ramen. Only in Japan! The staff are there to guide you the entire way, but their English is limited. They provide a laminated card with instructions – between this and the demonstrations, you have more than enough background to know what’s going on. I’m not quite sure what I was expecting, but this is definitely making chicken ramen noodles from scratch. 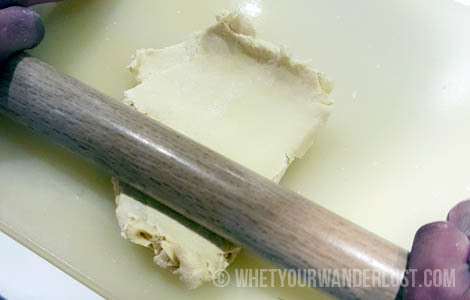 You get some flour, water and sesame oil, plus a rolling pin, and off you go! 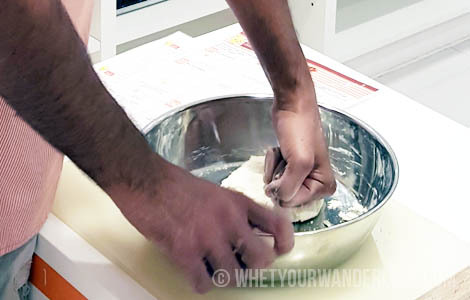 Knead away! 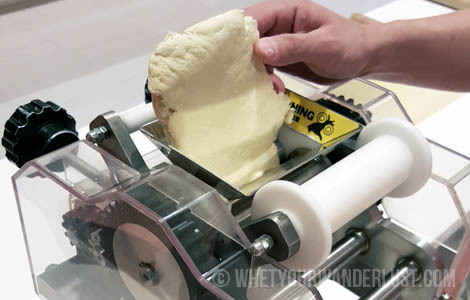 This is a stiff dough. 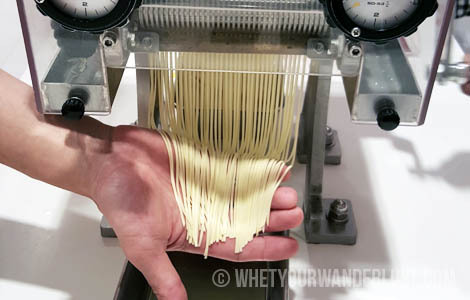 The first of several cranks through the noodle machine. 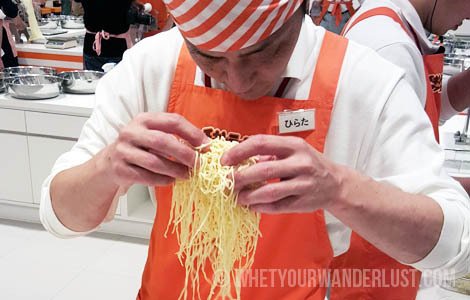 Our noodle-making sensei, Hirata, doing some special action with the noodles to make them extra-curly before steaming them. 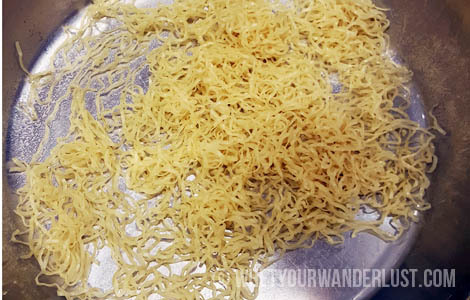 First the noodles are steamed and sprinkled with flavouring. And then ready to be deep fried into shape! Voila! Your instant ramen noodles are ready! 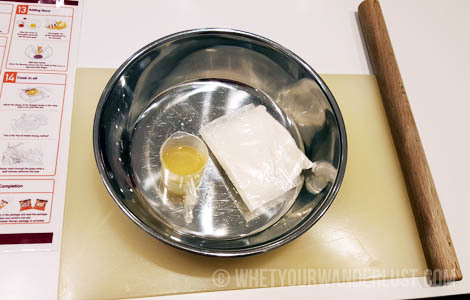 We got to experience in 90 minutes the method that Momofuku Ando spent over a year to perfect. What a great way to learn more about this amazing entrepreneur and appreciate the effort that went into creating one of Japan’s greatest innovations. Wearing a chicken-face bandanna at that! 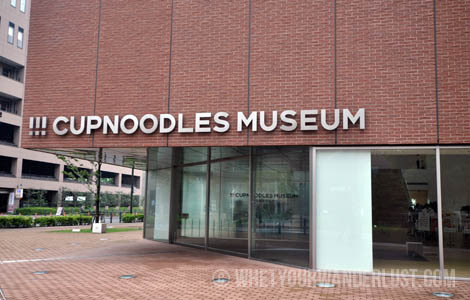 Entry to the CupNoodles Museum is ¥500 per person. 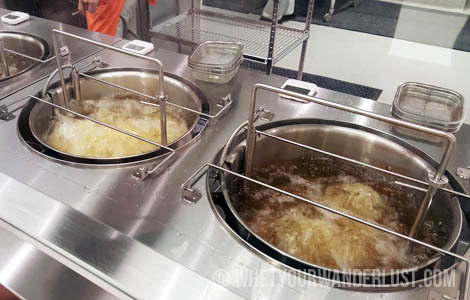 The Chicken Ramen Factory costs an additional ¥500 per person for the 90-minute session. 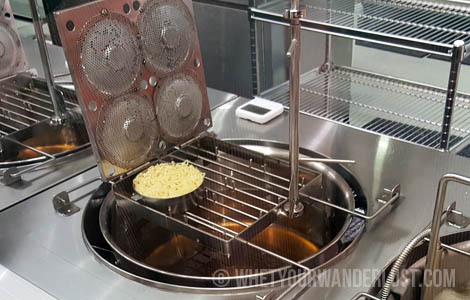 Pre-booking for the Chicken Ramen Factory is recommended as it sometimes sells out. Next Picky eater? Custom CupNoodles anyone?